Forbes magazine has issued it's annual grades for private college, based on their financial health. Gallaudet University earned an "A" after Forbes looked at its endowment, reserves, assets, surplus, tuition, admission rate and other factors. If you look at how other schools on the list did, you'll see that's a major vote of confidence for the school's financial health. See the list here. Bloomberg has a video that explains what's happening on the Auditory Brainstem Implant frontier here. A deaf woman was attacked and robbed during the middle of the day in Austin. KXAN-TV has a video report. A New York-area couple say a hospital refused to provide a sign language interpreter when the husband, Alfred Ortiz was admitted in January after having a heart attack. They are suing Westchester Medical Center-as well as the Orange Regional Medical Center. The couple says both facilities denied their request for an interpreter. Read the full story at the Daily Journal here. A school in New Jersey won't let Kenneth Frilando attend because he is deaf. So the New Yorker is suing the Smith & Solomon School of Tractor Trailer Driving" in Linden, New Jersey. WABC-TV has a video report (thanks to Joseph Frilando‎ for alerting us to this story). Massachusetts is getting ready to start calling prospective deaf jurors to come in. "The state is two years into a three-year pilot program designed to work the kinks out of the process," reports the Boston Herald. Read the full story here. Deaf West’s Spring Awakening is getting a boast from the announcement that Academy Award winner Marlee Matlin will join the cast when the show hits Broadway in September. A news release quotes Matlin as saying, “It’s been 30 years since I had the opportunity to be part of the groundbreaking Children of a Lesser God and I couldn’t be more proud and honored to have been asked to join Deaf West Theatre’s innovative revival of Spring Awakening on Broadway.” Previews begin at the Brooks Atkinson Theatre Tuesday, September 8 with opening night set for Sunday, September 27. The show will run through Saturday, January 9. 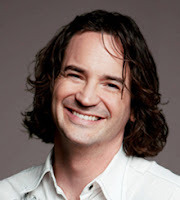 He was Google’s Chief Information Officer and he earned a doctorate from Princeton. But Douglas Merrill left the search giant to start his own online company to lend money to people who "don’t have access to regular bank loans." Find out what the man who lost his hearing as a child for a few years is up to in a story from Business Insider. Less than a year ago a video put together at a deaf camp racked up more than half a million views in only two weeks. While many videos have been posted on YouTube featuring Pharrell's Happy song, this one featured American Sign Language. Upworthy even said the work of two dozen deaf students was "better than the original." It was filmed at Deaf Film Camp which takes place each summer at upstate New York's Camp Mark Seven. The camp is about to get underway again this year (July 26). You can find out more here and you can read the Deaf Camp's Facebook page here. The New York auditions for the Deaf West Theater's Spring Awakening brought out an enthusiastic group yesterday. The New York Times has a report here on what happened in preparation for its Broadway debut in September. The mother of a deaf New York State prison system inmate says she is getting letters form other inmates threatening to kill the 20-year-old son-and that her son is being abused. WIVB-TV has a video report. 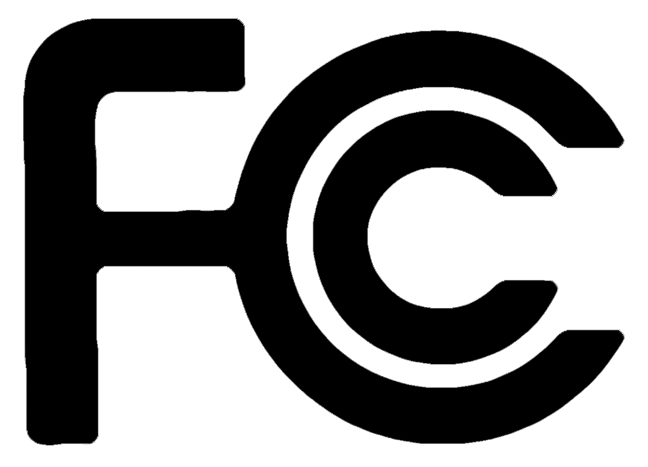 The FCC is holding a meeting to discuss closed captioning of public access and governmental programming November 10 at the FCC Headquarters in Washington, DC. Topics include "the benefits of captioning such programming, the relevant captioning obligations of programmers and stations, and effective and efficient captioning solutions." The event is free but if you can't attend live captioned video will be available at www.fcc.gov/live. Read the complete announcement here. Police in the Tampa, Florida-area are looking for the two men who attacked and stabbed a deaf man. They approached him from behind, just a few hundred yards from a mall. WTVT-TV has a video report. There's no captioning but you can read the story here. Researchers are getting close to reversing deafness caused by genetic defects through gene therapy. Dr. Tobias Moser tells NPR "I'd say we are very close" to having gene therapies that can restore hearing loss from a wide range of causes. "The therapy is designed to deliver a gene to the inner ear that generates new hair cells." Read the full story here. Leia Armitage is the first child in the London area to get a brainstem implant. The Daily Mail has her story here and below is a video of her parents (no captions). The Grateful Dead's "Fare Thee Well" concert in Chicago included a "Deaf Zone," where fans could follow sign interpreters. the Wall Street Journal has a video report here. How do you produce a musical when half the cast cannot hear the music? Spring Awakening isn't the first production for Deaf West Theater that has combined both deaf and hearing performers. BuzzFeed has a video showing how the group used ASL and spoken English in show that will make its way to Broadway this year. NPR takes a look at the unique work going on at the Motion Light Lab (ML2) at Gallaudet University where high tech is being used to translate research into tangible educational products. "In its latest venture, the team wants to pair original ASL rhymes with a 3-D signing avatar, a concept that could eventually be rendered into a signing cartoon animal on a kids show, for example." Read the full story here. Deaf West Theatre's Spring Awakening is moving to New York this fall. The show combines spoken English and ASL. It's been a hit in Los Angeles. Read more in the LA Times here.